Spontaneous Creation. Experimentation. Find out what happens when arts collide. Each night of FreeForm, a variety of artists will be creating an improvised performance that is part Happening, part jam session, and different every night. Featuring: Nathan Melaragno, MariSoul, Annie Krol and more. Somewhere in a forest nearby, a lone guerrilla commander has been waiting for you. As long as you brought your own gun. If you didn’t, you’re clearly a liability. But maybe you can prove yourself during a game of Pass the Sponge. At the very least, you can help grind the sulfur. Meanwhile, the Giant Ibis was thought to be extinct in Cambodia, though footage shot a few years ago reveals that some still exist. That part of the story is true. Basically. But can you really believe a man who was brought up in the taxidermy trade? Philadelphia artist Donna Oblongata is touring with a new solo show, All 100 Fires, which stars a guerrilla commander and you, the new recruits. Birds flutter in and out, though they mostly dead. It’s a funny play if you like being told that your best isn’t good enough. It’s a sad play if you were hoping something more optimistic would happen. At least you’ll learn how to make explosives. YOU KNOW THE FEELING: the show starts in 10 minutes. The mics are buzzing. The projector is just displaying a blue screen. The lights (most of which came from your living room) are flickering like dying candles (and not in a good way). The costumes need stitches, the DJ needs a new cable, the dance floor is covered in tacks, and your drummer wants you to know that the bathroom is ‘closed for business’. OR: You are the Matrix. You have a plan and you have a backup. If something breaks, you fix it. If the venue throws you curve ball, you throw it right back. Nothing phases you: You are the zen eye of a hurricane, repatching cables and solving problems because you are a cyborg warlock from the future and you ALWAYS have gaff tape. The MCA Tech Boot Camp is offered on a Sliding Scale of $30-$50. We leave this determination up to each individual and encourage applicants to balance their individual needs with their ability to support the mission of MCA. OPENmovement is a weekly series to activate, stretch, strengthen, and center your mind and body. Sessions are led by Marcia Custer (B.A. Dance, post-bac. Performance Art), who guides the group through physical prompts, imagery, and play, encouraging somatic exploration and finding pleasure in mindful, open movement. Please RSVP by signing up by Monday at 5pm (https://maelstromcollaborativearts.org/tickets/). You will receive a confirmation email from Marcia Monday night. 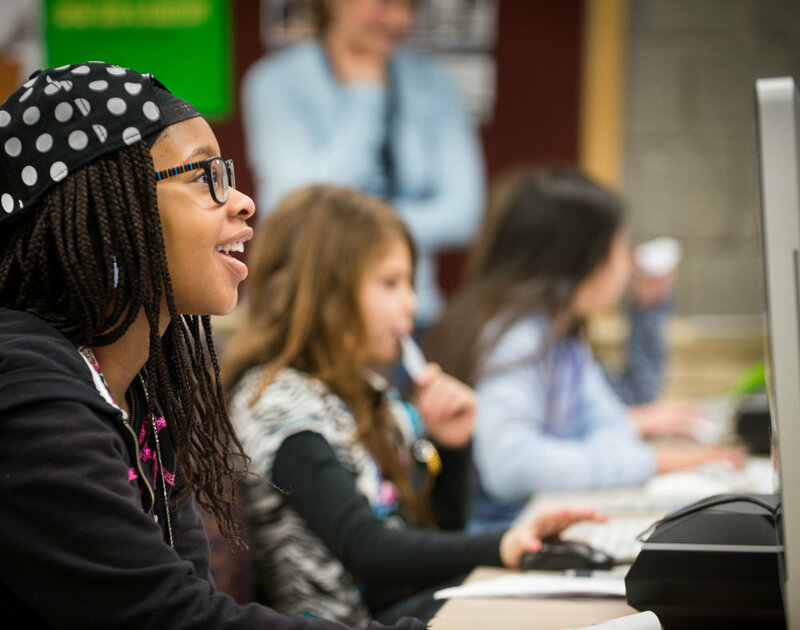 Entering its third year, the Maelstrom STEAM Club is a creative space for girls to explore the intersection of the arts and STEM subjects. In the midst of the ongoing contemporary educational movement to put the "A(rts)" into "S(cience) T(echnology) E(ngineering) M(ath)," our club at Orchard School champions artistic and scientific work at the borders of previously defined disciplines in the same manner of our professional performances. In 2018, program lead Lauren Joy Fraley is joined by guest artists Brittany Benton, Sequoia Bostick, Annie Clark, and Marcia Custer, in partnership with the Cleveland Metropolitan School district and with generous support from the Martha Holden Jennings Foundation.